Trophy, Ranking System, Leagues and Season | Brawl Stars UP! In Brawl Stars, each Brawler has its own individual ranking boards (Leaderboards). The ranking of a Brawler is determined by the trophies players earned by using it. Once the Brawler gets enough trophies, it will reach the new rank and get you a reward. There are 20 ranks in total. To get to the final rank, you need 500 trophies. As the Brawler reaches higher ranks, earning trophies will be getting harder. 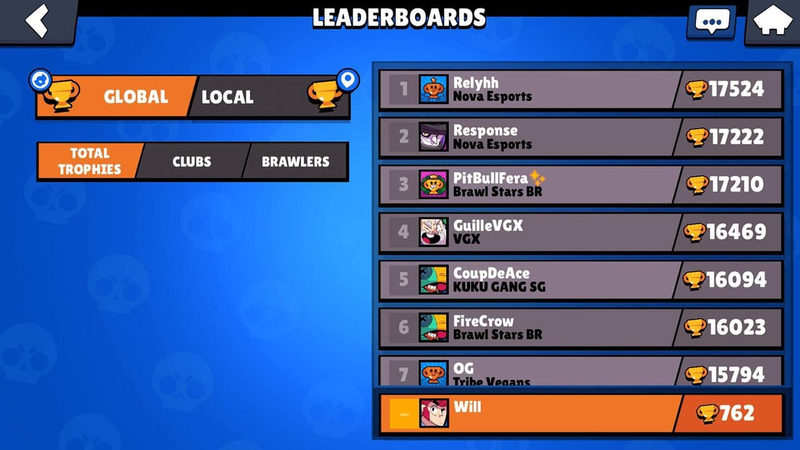 As mentioned above, each Brawler has its own individual Leaderboards, which are Region Leaderboard and Global Leaderboard. You can easily access these Leaderboards via the Leaderboard tab inside each Brawler’s page. In Brawl Stars, your Total Trophy is calculated by summing up all of the individual Brawlers’ trophy counts. The game will put you in a certain League based on your current Total Trophy count. The higher your Total Trophy is, the higher rank you are. Being in higher rank gives you more battle rewards! Ranking season in Brawl Stars lasts for 2 weeks. After every Season, players will receive the respective rewards and all Brawlers will lose 50% of their trophies above the 500 trophy threshold. If your Bull has 800 , at the end of the Season, your Bull will have 500 + 300/2 = 650 trophies. What where is my 1st comment? Who removed it? New idea: remove every 1st comment! Because a sparky can’t play games right…? I’m annoyed after all, people and players should be treated equally… LOOK IN THE BIBLE! He’s only mod in CRA. SAME! Welcome to the club! is there any way to get this game without changing the location? No. Sorry. You can use my legit Canadian postal code if you want though. 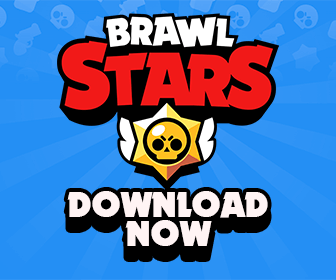 Have you check the brawl stars ranking system after the new update?